BUJUMBURA March 8th (ABP) – The Chairman of the Independent National Electoral Commission (CENI), Mr. Pierre Claver Ndayicariye, organized on Tuesday March 6th at the Vocational Technical School of Bujumbura located in the Kigobe quarter, an information and exchange meeting with the electoral partners on the progress of the preparations for the 2018 constitutional referendum. He said that the CENI is represented in all the provinces and communes of the country by operationally decentralized structures, that is, the Independent Provincial Electoral Commissions (CEPI) and Independent Communal Electoral Commissions (CECI). Mr. Ndayicariye added that it is thanks to those commissions that the voter registration was carried out from February 8 to 17, 2018. He pointed out that the validation of the electoral mapping is already finished. Thus, there were 3,828 enrollment centers and 11,583 registration offices. From a technical and operational point of view, he informed that the registration centers and the registration offices will for the most part become centers and polling stations as soon as the definitive electoral roll will be stopped by the CENI. 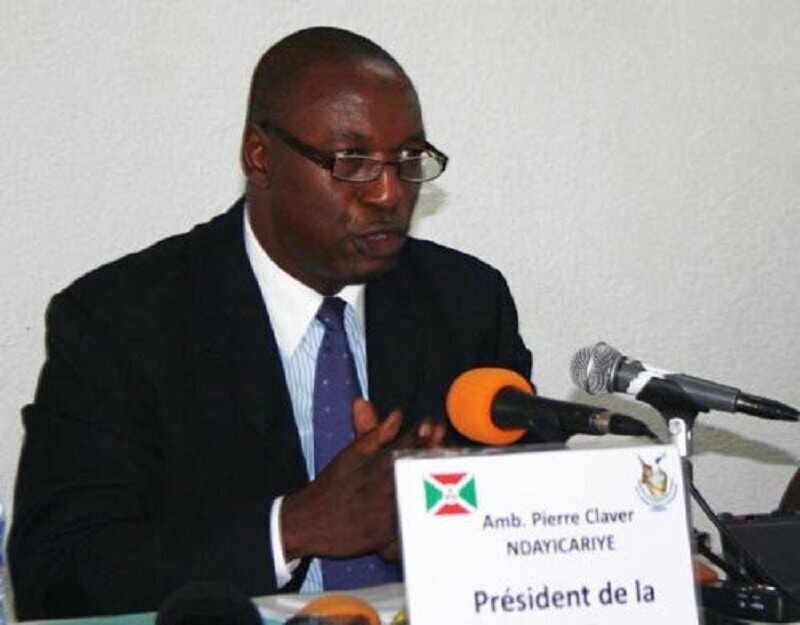 At the level of the service providers, Mr. Ndayicariye pointed out that the CENI is currently working with local partners such as the PACOBU Printing Company which manufactured the registers and registration card notebooks used during the voter enrollment phase and the “G and Vision” Company, which won the voter management software market and is currently conducting the voter seizure operation at the Data Center located in the CECORES building on Gatumba Road. With that voter management software, the CENI thinks of solutions that isolate the registered voters who will not be able to vote during the referendum of May 2018 but who will exercise their civic right in 2020 because having already reached eighteen years of age in 2020. For those who may not be enlisted in 2018 who would like to vote in 2020, the CENI will think of a formula to organize an ad hoc enlistment that respects the rules of art, according to the CENI chairman. He recalled that the voter registration activity took place under favorable conditions of peace and security from February 8 to 17, 2018 both inside and outside the country. Burundians in the diaspora, diplomatic missions, consulates general and military peacekeepers in Somalia and the Central African Republic have not been forgotten. The number of raw data obtained after enrollment is 5,000,742 people registered. He reported that during the enrollment, a few minor incidents involving a dozen agents were recorded, adding that for some, it was the fact of non-compliance with the instructions of the CENI during the training, the fact of the distraction or for lack of seriousness. For others, the CENI representatives in the provinces and the communes thought of a probable external political manipulation. 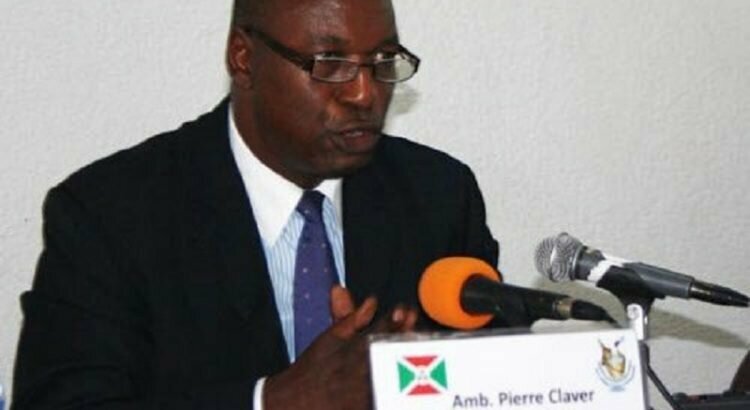 The CENI chairman informed his partners to that day that the computer data seizure on voters is underway at the Data Processing Center (CTD), adding that on 350 computers planned in the market, the seizure started on Thursday February 22nd at 1:00 pm with 126 machines. Little by little, new computers were installed allowing a better daily performance of the input operators recruited for that purpose. He informed that a few days ago, a unique model of ballot was designed by the CENI. It should be noted that those partners are representatives of political parties, religious denominations, the diplomatic and consular staff, civil society organizations and representatives of the public and private media.